I enjoy playing Sit & Go Tournaments and I do it on a few different poker sites, Full Tilt and PokerStars are among the ones I visit the most. One thing that annoys me big time is when the tournament gets full just when I try to register for it. In this redesign I’ll make a change to the registration flow to make it faster and easier which hopefully makes a player start playing faster. Which in the end means more rake for the operator. 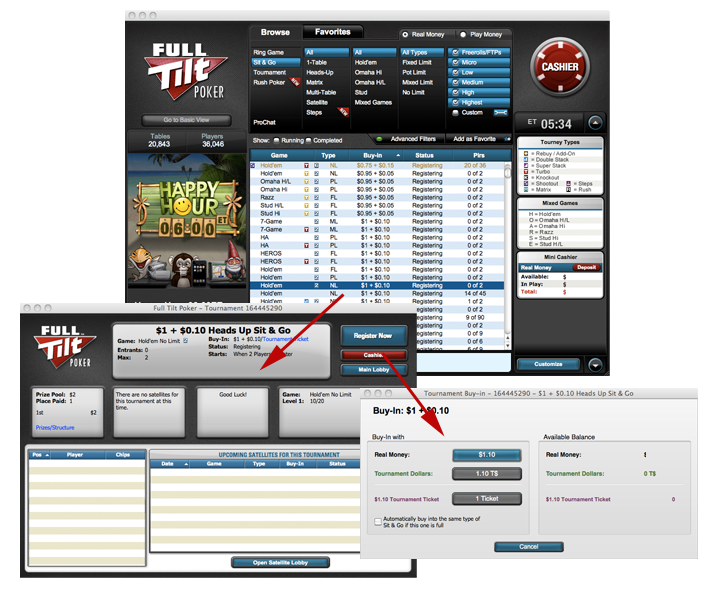 In this redesign I am using Full Tilt in my redesign sketches but the solution looks similar for most poker sites. Today when you want to register for a Sit & Go Tournament go through a number of steps and open up a number of new windows as well, as you can see in image 1. 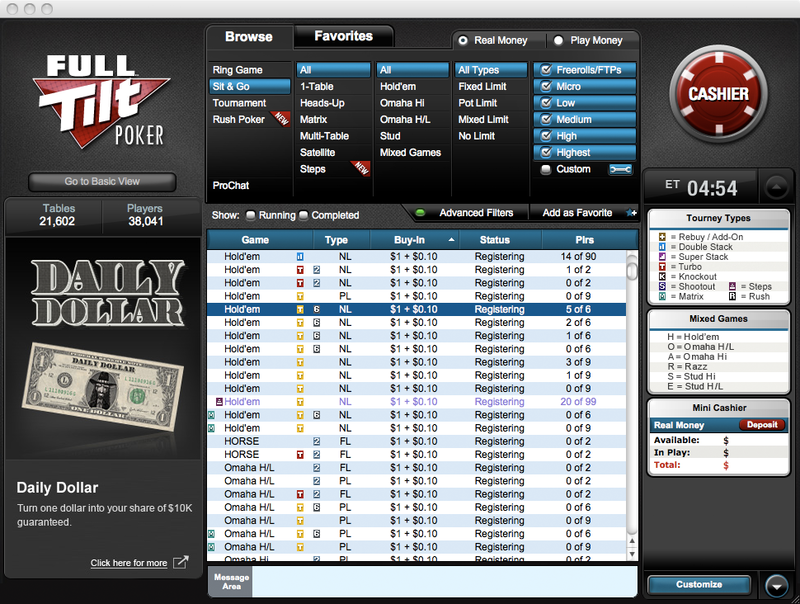 So the registration process takes a few seconds to many and while I am trying to register another player might already have taken the last seat. The tournament details expand and there is a “Register” button right there. And if you have Tournament Dollars that can be used for this tournament then that button is shown too. There is also a link “Go to Tournament Lobby” in case I want to get more tournament details. This is my 20 minutes take on how it could work instead of today’s solution. What do you think?